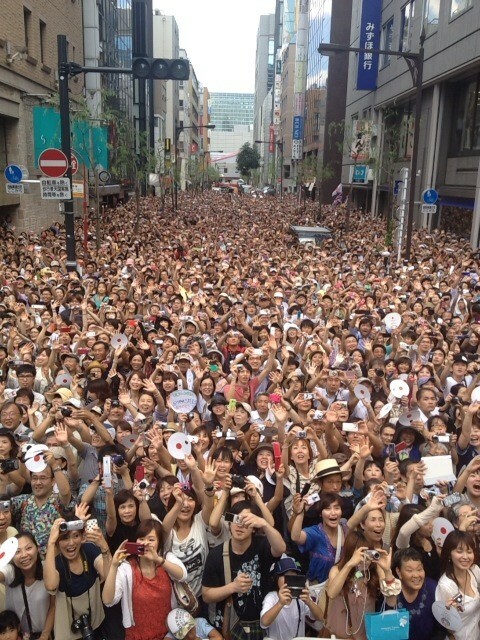 ichiro sato tvcm : laser beam and pole!! 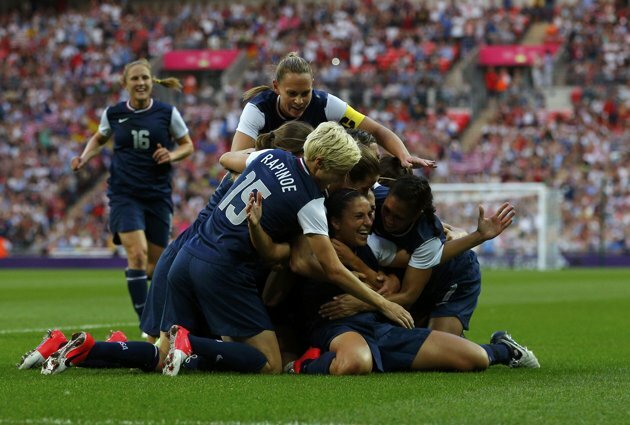 USA made it four gold medals out of a possible five at Women's Olympic Football Tournaments by virtue of their 2-1 victory over Japan in front of a Wembley crowd of 80,203 - an Olympic record in itself. The hero of the hour was 30-year-old Carli Lloyd who struck in each half to help her side to victory, even though Japan made it a nervy end when Yuki Ogimi scored to pull one back in the 63rd minute. Wembley did not have long to wait for the game’s first goal which came in the eighth minute. Tobin Heath played the ball to Alex Morgan, who did well to keep it in play and send over a cross. Japan’s defence were perhaps too busy concentrating on Wambach that they failed to spot Lloyd rushing in and she headed home from close range. As the half wore on, Japan got more into the game and had two great chances to score within 60 seconds. 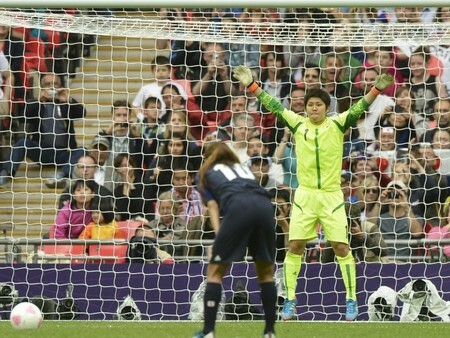 Nahomi Kawasumi’s shot looked to be heading towards goal, but was cleared off the line by Christie Rampone. The rebound fell kindly to Ogimi who looked ready to shoot, but some brave defending from Kelley O’Hara and Hope Solo blocked the shot. Solo was called into action immediately afterwards when Kawasumi’s cross was headed towards goal by Ogimi and the USA No1 was forced to tip the effort on to the bar. 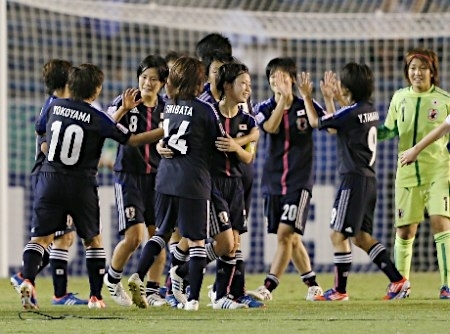 Once again, Japan hit the woodwork, but this time at the right end for the Nadeshiko. 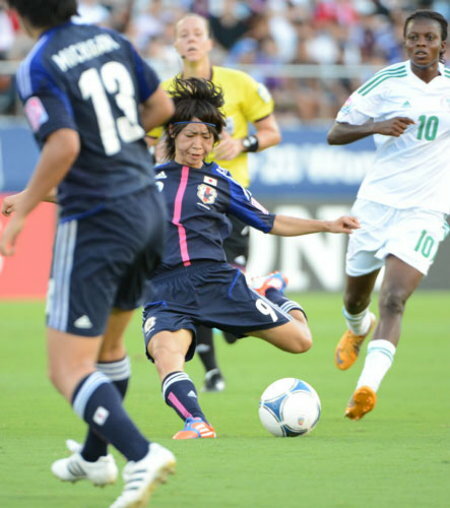 Shinobu Ohno’s trickery left a string of USA defenders in her wake. She squared the ball to skipper Aya Miyama whose shot beat Solo, but not the crossbar. 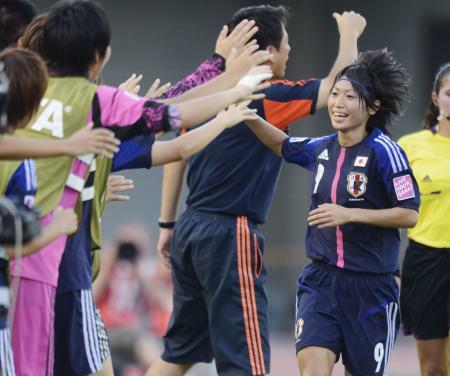 Miyama also went close to equalising four minutes later when her shot from the box fizzed past the right hand post. The second half began with both sides looking to score for different reasons. 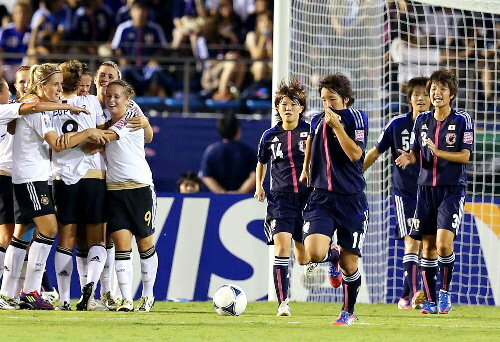 Japan were looking for the equaliser, while USA were looking to double their advantage. 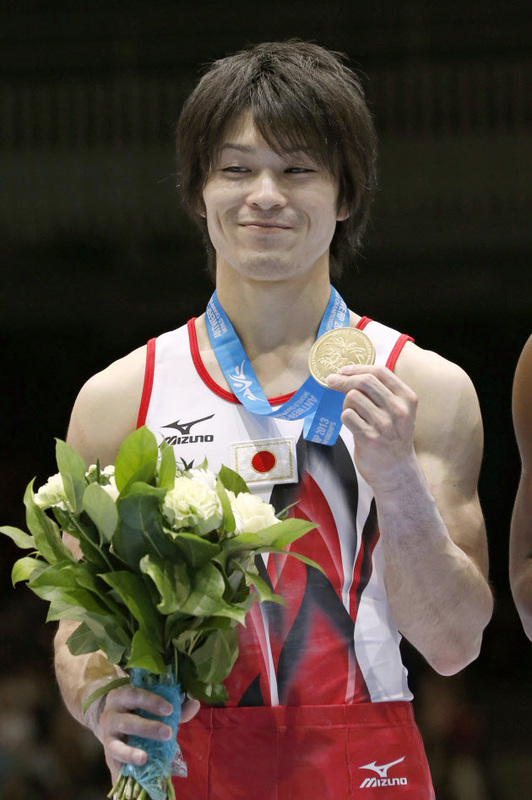 And just as Usain Bolt was warming up to win the 200m at the Olympic Park, USA hit Japan with a bolt from out of the blue. Lloyd picked up the ball deep inside the Japan half, ran at the defence, and reaching the edge of the box, hit a right-footed shot which went across the face of the goal and into the net. Japan pulled one back in the 63rd minute when Miyama’s superb pass found Ohno who played it to Sawa. Her shot seemed destined for the net, but once again Rampone was there to clear off the line. However, she played the ball straight to Sawa who showed great composure to tap the ball to Ogimi, who converted the easiest of chances. USA almost scored a third when Rachel Buehler nearly prodded home another Morgan flick-on from Lauren Cheney’s cross, but Fukumoto was on hand to produce a fine save. The game was flowing from end-to-end and Amy LePeilbet had to be alert to hack a half-cleared Miyama free-kick off the line. As the game entered its final minutes, there was drama at both ends. Lloyd went close to claiming her hat-trick when her right-footed shot whistled just over and then Japan substitute Mana Iwabuchi forced an outstanding save from Solo, who had to be at full stretch to palm her powerful shot away. It was a game every bit as good as the FIFA Women’s World Cup final between the two sides a little over a year ago. 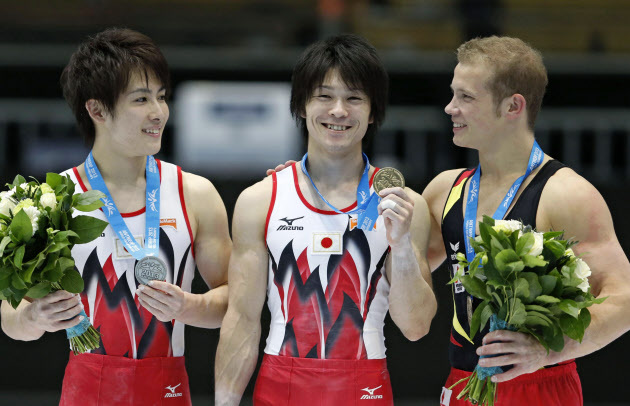 On that occasion, Japan edged the win on penalties, but tonight it was all about redemption and a well-deserved gold medal for the Stars and Stripes.